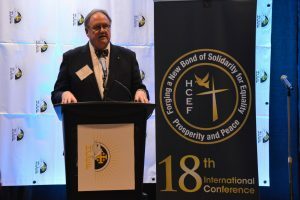 Washington, D.C. – Under the theme “Forging a New Bond of Solidarity for Equality, Prosperity, and Peace”, The Holy Land Christian Ecumenical Foundation (HCEF) concluded its 18th International Conference with great success and renewed hope. 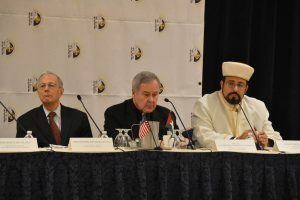 With four segments comprising the weekend’s conference, the Conference provided a unique opportunity to over 300 participants to forge a new bond of solidarity with their Palestinian Christian brothers and sisters through tourism and religious pilgrimages. 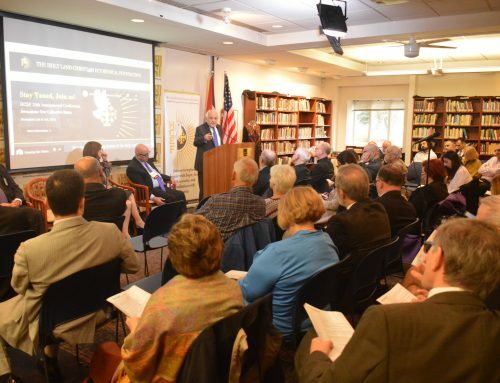 Representatives of religious, governmental, and international organizations took part in valuable discussions about pilgrimages to the Holy Land and how they can impact the wellbeing and continuation of the Christian community in Palestine and throughout the Middle East. There was an ecumenical and interfaith presence participating throughout the different segments of the conference which included the “Tourism for Peace” Symposium, the Awards Banquet, the Conference General Assembly, and a benefit concert at the French Embassy. Sir Rateb Y. Rabie, KCHS, HCEF President/CEO, kicked off the conference with the “Tourism for Peace” Symposium on Friday, October 14th, 2016. Participants were invited “to forge a new bond of solidarity with our Palestinian Christian brothers and sisters through pilgrimage to the Holy Land,” said Sir Rateb. “This mode of tourism is essential both for the wellbeing and continuation of the Christian community there, and for the spiritual good of participating pilgrims,” he added. The Symposium highlighted the importance of the Holy Land’s rich history, with its impressive archeological sites, its diverse cultural heritage, and its religious significance—all elements of which make the tourism industry essential for economic growth and the spiritual good of participating pilgrims. The symposium discussion, led by Fr. 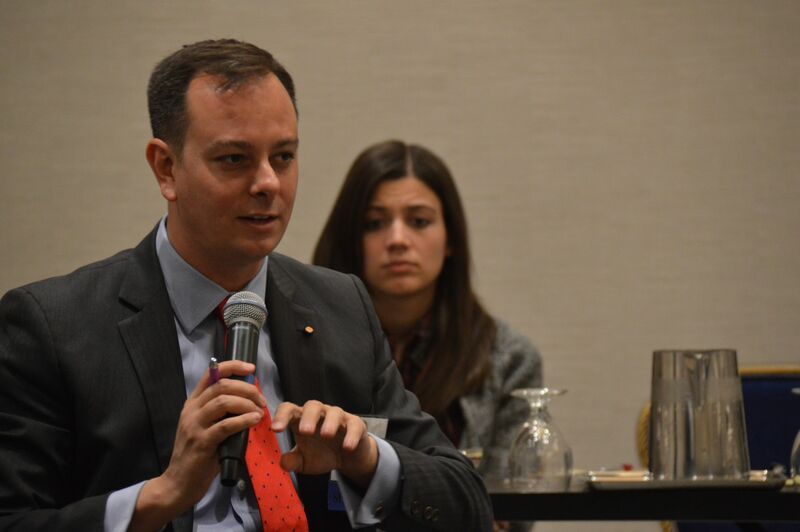 Michael McDonagh of the Chancery Office, Latin Patriarchate of Jerusalem, delved into the impact of developing and promoting pilgrimage and religious tourism. Lending their expertise to this topic were Sami B. Khoury, President of the Holy Land Incoming Tour Operators Association, HLITOA, and Jin-Yung Woo, Adviser on Tourism and Culture to the Secretary-General of the World Tourism Organization of the United Nations (UNWTO), of which, both organizations who have partnered with HCEF in the initiative to promote religious tourism to the Holy Land. 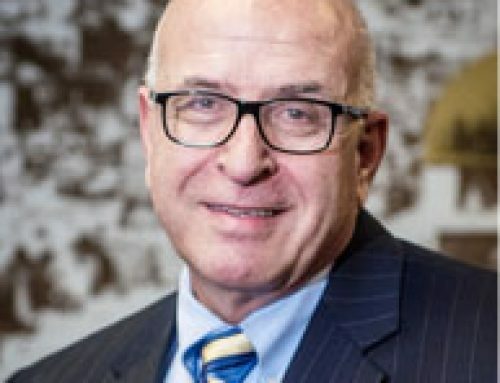 Khoury stated that “Palestine is at the heart of the Holy Land experience” and explained the major challenges facing the tourism industry and the need for a strategic direction under tough conditions of the Israeli occupation and the regional instability. 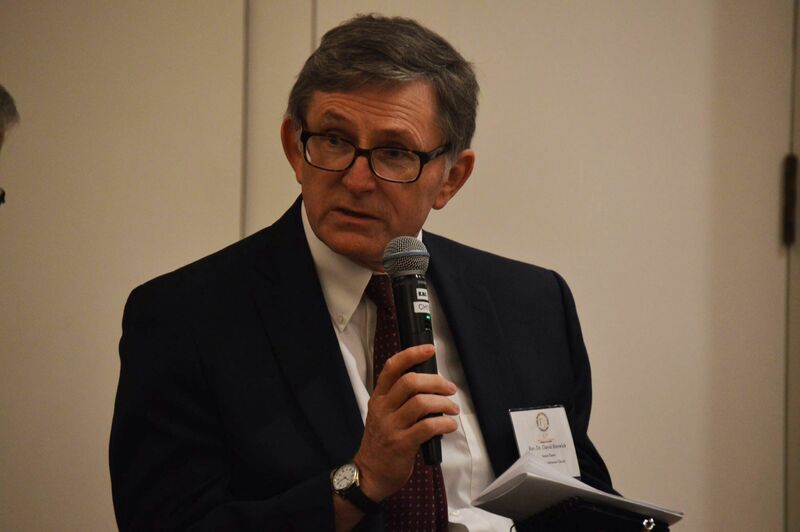 Other participants contributing their experience in this field included Dr. Stephen M. Colecchi, Director of the Office of International Justice and Peace, United States Conference of Catholic Bishops; Rev. Dr. David Renwick, Senior Pastor of the National Presbyterian Church, Washington, DC; Dr. Cynthia Finlayson, Associate Professor of Anthropology/Archeology and Museum Studies, Brigham Young University and Bethlehem Museum Consultant; and Sabrina Čović Radojičić, Founder and Director of the Sakramento Peace Center, Bosnia and Herzegovina. Calls were made to restructure pilgrimages so as to make them more meaningful, and to model pilgrimages as acts of solidarity. Ms. Čović Radojičić also added that it was “important to emphasize the spirituality of pilgrimages…” and to expose pilgrims to the cultural life of the Holy Land, so that they in turn, become advocates by recounting their first-hand experiences. 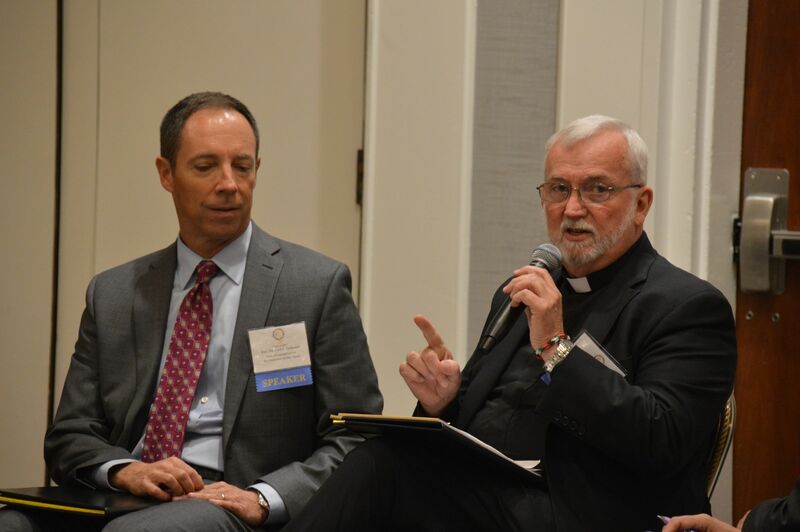 John L. Schlageter, Esq., Executive Director of the Bethlehem University Foundation led a discussion on how pilgrimage to the Holy Land helps the faithful and Christians in the Holy Land alike fulfill key personal and spiritual needs. In addition to strengthening faith and creating bonds of solidarity between the pilgrims and the local Christians communities, pilgrimage fosters appreciation of pluralism and respect for the different historical and cultural identities that Christianity encompasses. The personal bonds of respect and friendship of the pilgrims with their Holy Land hosts pave the way for equality, prosperity, and peace. Those who shared their firsthand accounts of pilgrimages have changed their lives were: Fr. 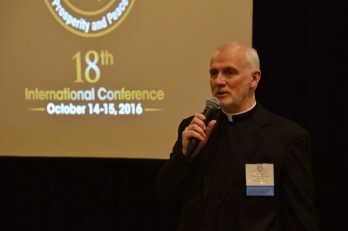 Robert Waller, Priest of the Archdiocese of Cincinnati, OH; Rev. Dr. Carl S. Hofmann, Pastor of Congregational Care of the First Presbyterian, Boulder, CO; Fr. 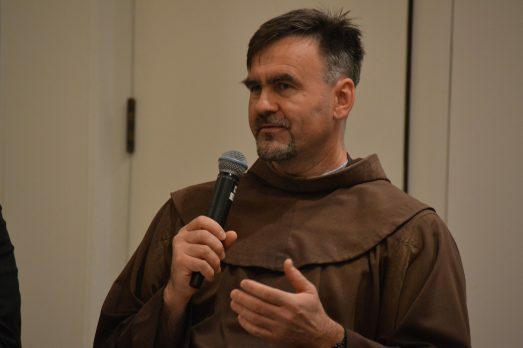 Jacek Orzechowscki, OFM of Associate Pastor, St. Camillus Parish, Silver Spring, MD; and Rev. Hovsep Karapetyan, Pastor of St. Mary Armenian Apostolic Church, Washington, DC. For Fr. Waller and for Rev. Hofmann, the main reason for making pilgrimages is to connect with the people, the Living Stones, not the ancient stones. For Fr. Orzechowscki, having an encounter with the Living Stones is “a transformative experience” that draws the pilgrim “to build bridges of solidarity, not walls”. Rev. Karapetyan said that each of us can assist our brothers and sisters in the Holy Land. And that once we witness the change, the connection, becomes “felt, strong, and permanent”. 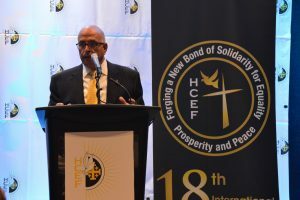 The key panel rounding off the symposium, “Forging a New Bond of Solidarity for Equality, Prosperity, and Peace”, was led by Dr. Donald E. Hawkins, Chairman of Solimar International. Participants included Jin-Yung Woo; H.E. Rula Ma‘ayah, Minister of Tourism and Antiquities of Palestine (MoTA); and H.E. 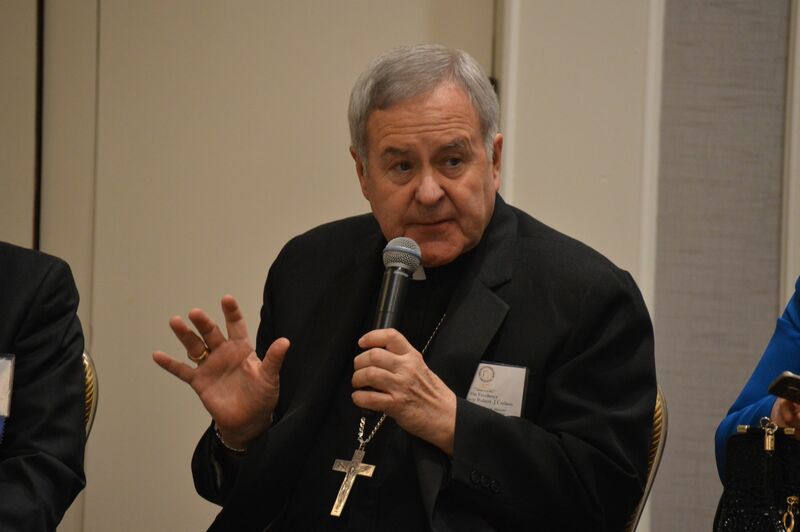 Robert J. Carlson, Archbishop of St. Louis, MO and HCEF Advisory Board Member. 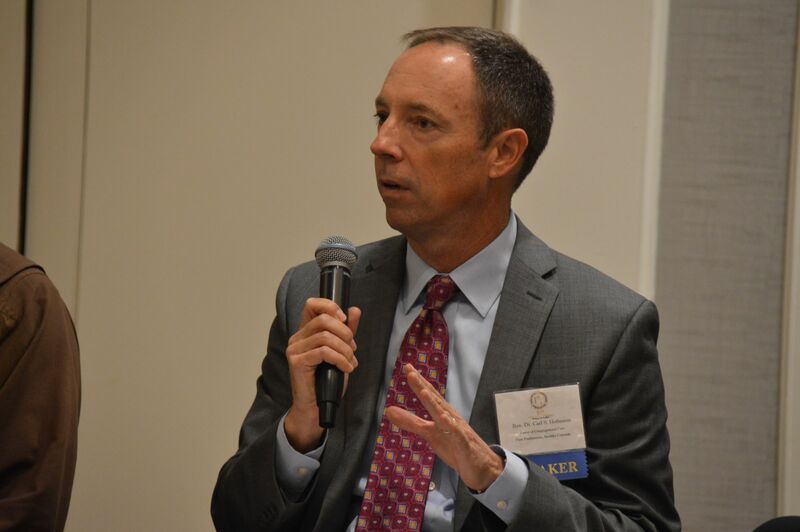 Dr. Hawkins discussed ways to enhance and expand religious tourism. And despite all the challenges facing Palestine, H.E. Ma‘ayah indicated that there have been noticeable growth in the number of overnight stays and in the number of tourists. 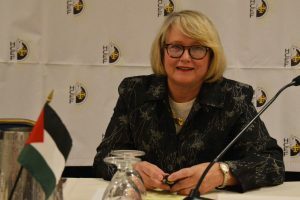 She expressed her earnest hope for peace with justice, saying “Tourism brings peace, Tourism builds bridges between nations.” She asked that tourists make their bookings through Palestinian tour operators, stay in Palestinian hotels, and buy Palestinian products. Going even further, Rateb Y. Rabie, with the assistance of Sami B. Khoury, expanded the conversation by outlining practical next steps and strategies. Fr. McDonagh argued for a small business loan fund to enable Palestinian Christians to create business opportunities in the Holy Land. “Lack of economic opportunity is a real problem”. Dr. Colecchi explained that “Pilgrimages enliven faith, but if done well, they also express solidarity and contribute to economic empowerment and development. A viable economy that enables families to live in dignity is an essential ingredient for peace”. He committed to working on the issue of religious tourism through his network at the US Conference of Catholic Bishops. Nadim Haddad, representative of the Melkite Greek Catholic Church, suggested the creation of a central office that would organize, coordinate, and look after pilgrimages. 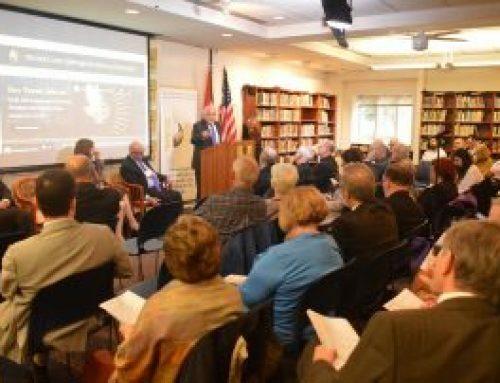 Some participants called for educating Western and other publics with more information about daily life in Palestine and about the existence of Palestinian Christians. Others supported the idea of tourism attachés who will be responsible for promoting Palestine’s culture and tourism abroad. 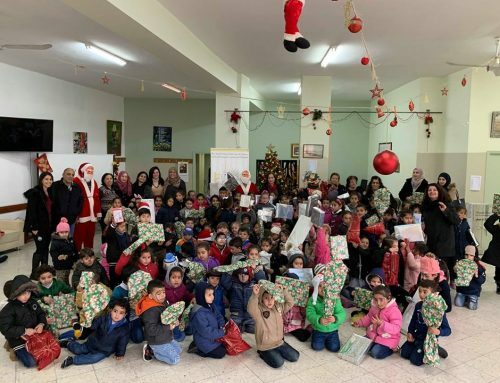 Still others thought that building bridges of solidarity with Palestinian Christians does happen, but it can be strengthened further through such organizations as HCEF. “Tourism for Peace” Photo Album. Dr. Hugh Dempsey, K.M.Ob., KCHS, Bethlehem Museum Consultant, hosted a lively Friday evening as the Master of Ceremonies of the Awards Banquet. Following the invocation by Rev. Dr. David Renwick, Senior Pastor of the the National Presbyterian Church, Sir Rateb Y. Rabie, KCHS, welcomed those present and thanked them for their commitment. “This year”, he stated, “offers a unique opportunity for attendees to participate in one of our most comprehensive conferences to date”. Greetings were extended by H.E. Bishop Barry C. Knestout, Auxiliary Bishop of Washington, DC followed by the honoring of this year’s esteemed award recipients: the American Federation of Ramallah, Palestine (AFRP), accepted by AFRP President Jeff Ajlouni; H. E. Archbishop Robert J. Carlson, Archbishop of St. Louis, MO, and HCEF Board Member; H.E. Dr. Taleb Rifai, Secretary General, United Nations World Tourism Organization (UNWTO) accepted by Jin-Yung Woo, Adviser on Tourism and Culture to the Secretary General, UNWTO; H. E. Rula Ma‘ayah, Minister of Tourism and Antiquities, Palestine; and the Antiochian Orthodox Christian Archdiocese of North America, which received the HCEF Living Stones Solidarity Award. 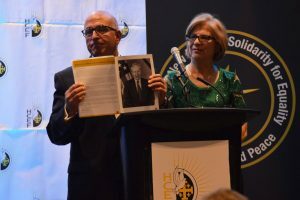 The Living Stones award recognizes the sustained and extraordinary effort of the faithful in institutions, who love, support, and stand in solidarity with the Christians of the Holy Land. In receiving the award, H.E. Metropolitan Joseph Al-Zehlaoui, Archbishop of the Antiochian Orthodox Christian archdiocese of North America, gave thanks to God for all in attendance. He went on to say that he is “Syrian by birth, Lebanese by education, American by citizenship, and Palestinian in devotion”. For Archbishop Joseph, “Palestine is an icon. Palestine is the spiritual country of all of us. Palestine is the conscience of the nations”. Sir Rateb Y. Rabie and Lady Rocio Rabie paid a moving tribute to H.E. 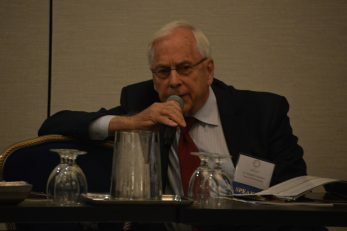 Donald Kruse, who dedicated his life to bringing awareness to the difficult living conditions of the Palestinian people and the hardships they endure on a daily basis. To honor Kruse’s commitment to the Palestinian Christians, Sir Rateb and Lady Rocio announced that HCEF will be naming a section of the Bethlehem Museum after him. Moreover, they announced that Kruze’s family and the National Presbyterian Church have created the Donald Kruse Memorial Fund in Don’s honor to benefit HCEF and the Christians of the Holy Land. Awards Banquet Photo Album. 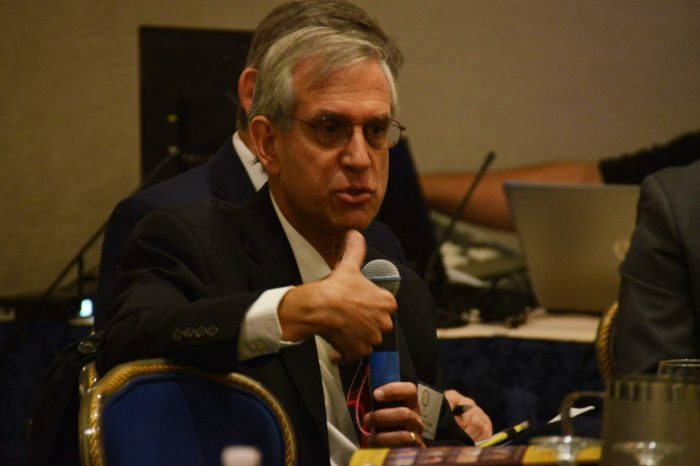 The Conference General Assembly, hosted by Dr. Saliba Sarsar, Chair of the HCEF Research and Publication Committee and Professor of Political Science at Monmouth University, and Dr. Stephen B. Corbin, former Special Olympics Senior Vice President of Community Impact and Support in Washington, DC and Living Faith Lutheran Church Elder in Rockville, MD, featured four panels and, a keynote address by H.E. 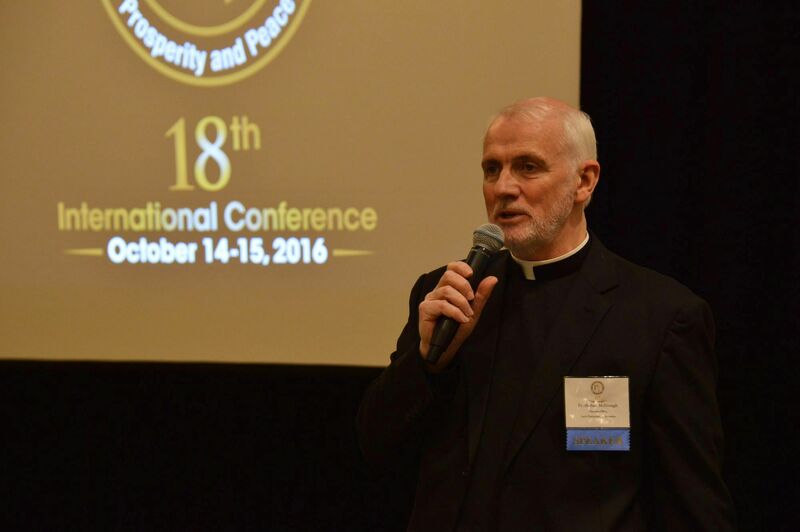 Metropolitan Joseph focusing on the need to be educated about issues surrounding Palestinian Christians in the Holy Land in particular and Christians in the Middle East in general as well as the need to forge with them a new bond of solidarity for equality, prosperity, and peace. 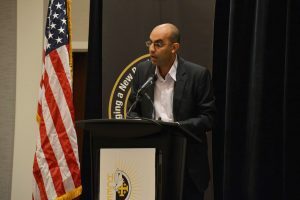 Fadi Deeb, D.M.A., Lecturer and Coordinator in the Music Program of Birzeit University, led a discussion in which the speakers described how Palestinian Christians are in a constant state of doubt, insecurity, and growing despair as they continue to endure the Israeli occupation. Fr. Michael McDonagh spoke of the dire conditions affecting Palestinian Christians, including high unemployment, restricted mobility, and limited access to goods and services. “The present Israeli government”, he said, “has no intention of resolving the Israeli-Palestinian conflict”. He advised that hope be put in God. Fr. Robert Waller commented on the resilience of the Palestinians observing, “They will not allow themselves to be defeated… When our happiness is stolen from us, we must steal it back. Living with hope, this is joyful peaceful resistance. It is taking your life back from those who would try to control it”. Rev. Dr. Hofmann also found seeds of hope in organizations such as Musalaha, directed by Dr. Salim J. Munayer, that works towards reconciliation between Palestinians and Israelis based on the Biblical principles of peace, justice, and love; and in the HCEF. He quoted Luke 1:37, saying, “Nothing is impossible with God”. H.E. The Most Reverend Metropolitan Joseph gave a keynote address. 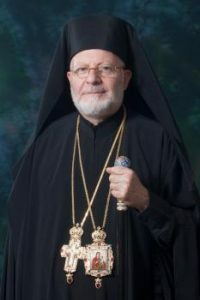 He thanked HCEF on behalf of the hierarchs, clergy, and laity of the Antiochian Orthodox Christian Archdiocese of North America. He took the opportunity to express his solidarity with HCEF for the good work it does throughout the year. He lamented “the continued suffering and deplorable situation for the Christians and others in the Holy Land.” He also explained how the Christian community in the Middle East is in crisis. Regardless, he said, “we have no right to be discouraged.” He called for reviving church ministry and peace, and invited all “to come out of the shadows and enter into the light.” He also encouraged all to go on pilgrimage and repeated the motto, “tourism for peace, peace for tourism.” He related how Jerusalem has a special place “in my heart.” He committed to continue working for a just and lasting peace so that “the Living Stones” will be treated with the same dignity and respect as “the historical stones” of the Holy Land that people flock to visit from all over the world. 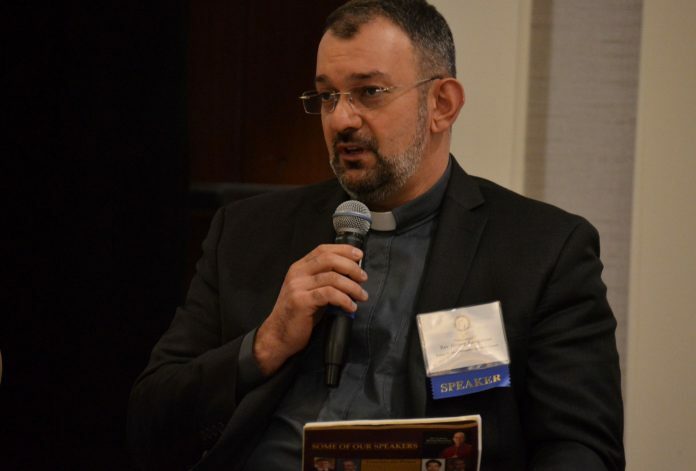 Sami B. Khoury of HILTOA, lent his expertise at the general assembly as his fellow panelists explored the challenges and unique opportunities of religious tourism in the Holy Land and the boost it gives to the Palestinian economy. H.E. 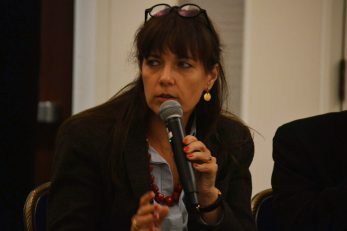 Rula Ma‘ayah explained that Palestine at this stage of state building considers tourism as one of the main economic sectors, with a great potential for growth. Moreover, for her, “tourism brings peace, as it builds bridges between nations”. She repeated her invitation to all conference participants to visit Palestine. 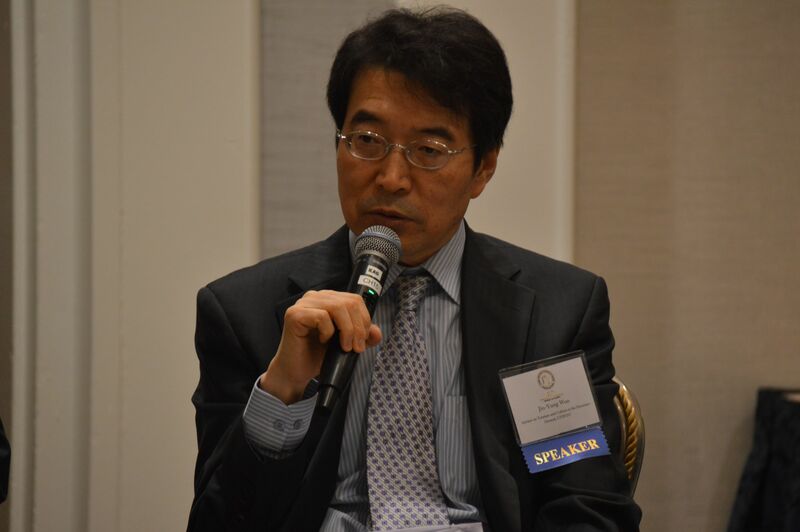 Jin-Yung Woo agreed that Palestine is a key destination. “We need to continue encouraging more international tourists to visit.” Sir Rateb Rabie spoke of HCEF’s vision to enhance religious tourism and of its joint work with the United Nations World Tourism Organization to encourage pilgrims and tourists of all backgrounds to visit the Holy Land by way of regional tourism. A special presentation on the Bethlehem Museum focused on the critical role the museum plays in strengthening Palestinian identity, heritage, and culture in a modern context. Abigail Galván, HCEF Executive Assistant to the President and CEO and Special Programs Coordinator, described the museum as “one of the graces that gives us hope for a brighter future”. 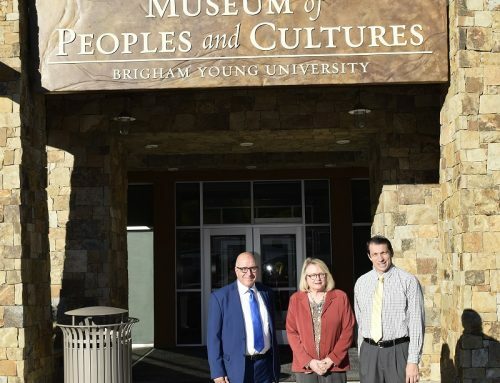 Dr. Cynthia Finlayson, Associate Professor of Anthropology/Archeology and Museum Studies at Brigham Young University and Bethlehem Museum Consultant, described the various ways a museum can serve as a center for saving cultural heritage, as well as preserving a Palestinian Christian identity despite the political challenges presented by past and current events in the Middle East. Elias G. Saboura, Principal of Beiramee & Saboura P.C, moderated the highly anticipated panel the implication of this year’s presidential elections on the Middle East region. H.E. 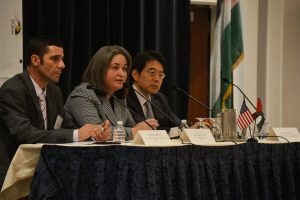 Maen Areikat, Chief Representative of the General Delegation of the Palestinian Liberation Organization (PLO) to the United States, commented that Palestinians always looked with anticipation at who is in the White House and, unfortunately, there has been no major change since the US and the PLO developed ties. H.E. Areikat sees “no change if either Hillary Clinton or Donald Trump wins”. In his view, “nothing is going to change in the U.S. unless there is a strong grassroots impact”. 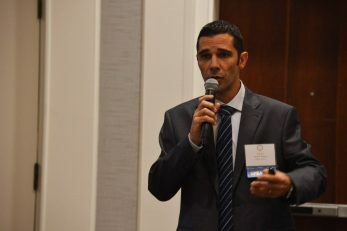 Khalil Jahshan, Executive Director of the Arab Center Washington DC, Inc., argued that there needs to be change on the ground in Israel and Palestine. He felt that “the region will impose itself on the U.S.”, meaning that it will continue to assert itself on the U.S. national security agenda. While there will be differences between a Clinton or Trump presidency, the next president cannot ignore the Middle East region. 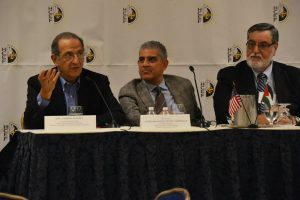 Dr. James Zogby, Co-Founder and President of the Arab American Institute and Member, Executive Committee of the Democratic National Committee, believed that the Palestinians need to make their issue front and center. Otherwise, the status quo will set in. “Palestine is an issue when we make it an issue. It is an issue when we apply pressure and mobilize a political force”. For Dr. Zogby, “Good talk does not deliver change; only work does”. Hence, we must double our efforts “to ensure that the U.S. refocuses its priorities and policies in support of a just peace. General Assembly Photo Album. The defense and in support of all Christians throughout the Middle East, and in addition, break down stereotypes of Islam. 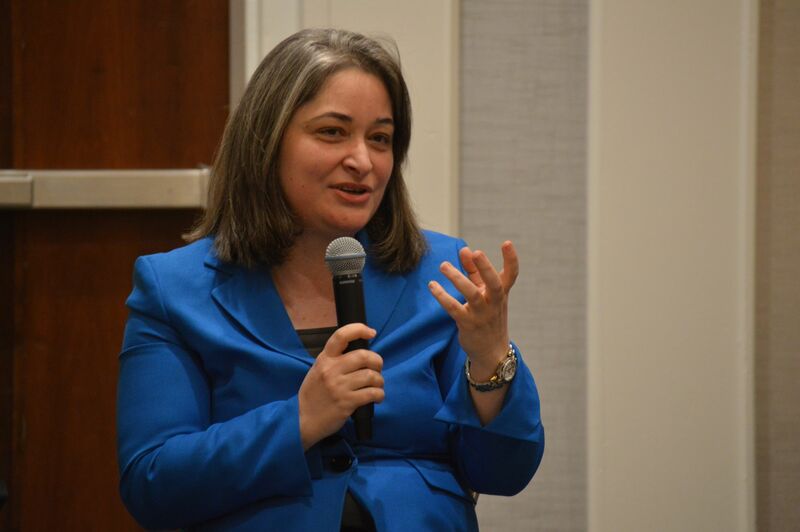 The resolve to bring together all faiths to speak with one voice to advance peace and justice in the Middle East. The conclusion of this year’s conference created not only new bonds of solidarity, but renewed commitment in support of the work of HCEF. 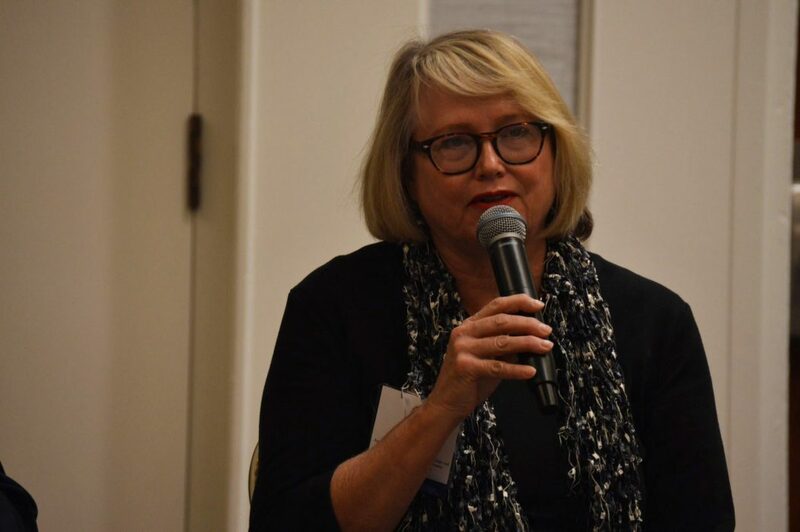 Attendees and participants shared unanimous approval of the tremendous impact that HCEF is making in the Holy Land, and came away encouraged to unite to work together for the common good of the Palestinian Christians.